SEO Consulting Company vs. SEO Firm: What Are the Differences? My friends at the Bay Area Video Coalition (BAVC) are hosting some cool dinners in honor of their 40th anniversary. If you live or work in San Francisco, or are in commute distance, BAVC is one of those “best kept secrets” of the Bay Area – a great place to learn everything about videography, web design and of course Internet marketing (taught by yours truly). They are having a dinner on March 3, 2016 – 7 pm – 9 pm with some movers and shakers. 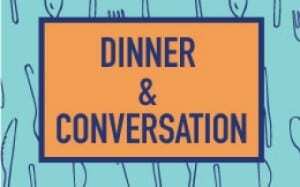 In honor of our 40th anniversary, BAVC proudly presents Dinner & Conversation, a quarterly series of intimate, casual dinners open to the BAVC community which celebrate our past, present, and future. Over a delicious, catered spread, each dinner discussion will center around an area that BAVC has helped to pioneer over the decades with special guests of honor on-hand to help steer the conversation. All door proceeds will benefit BAVC programs. Join BAVC along with special guests Caroline O’Donovan of BuzzFeed; Charlie Hale of Pinterest and Virginia Hamilton of U.S. Department of Labor. Bay Area Video Coalition (BAVC), located at 2727 Mariposa Street, 2nd Floor San Francisco CA 94110. AcademyX, located at 601 Montgomery St., Suite 409, San Francisco, CA 94111. March 4, 2016 – BAVC – one day “crash course” in SEO. Usually we have from 6 to 10 student participants, most of whom are participants in BAVC’s trainings on video production and/or web design. It’s always a lively group, and we go step-by-step through search engine optimization. We start with keywords, then go through On Page SEO issues such as tag structure, and end up with Google Analytics. If you’re a late-riser, it’s great because it starts at 10:00 am and ends at 6 pm. BAVC is convenient to the 16th Street Mission BART station, and for weekend classes there’s plenty of parking, which makes it an easy choice. I am also teaching it on March 20, 2016 at BAVC. As for AcademyX, it’s a two-day class on Search Engine Optimization, with their location convenient to downtown San Francisco and the Financial District. AcademyX is across the street from the Transamerica Pyramid. Because it’s a two-day class, we can go at a slower pace and have more hands-on experiences with the students. The classes also tend to be smaller, sometimes just a couple students but other times we can have up to about ten. It’s a great choice if you are a businessperson and your work is near downtown. Montgomery BART is your station of choice, and the parking is available but expensive. (It’s San Francisco!). Class dates are March 17-18, 2016. As for Social Media Marketing, I am next teaching this at BAVC on April 9, and at AcademyX on April 21-22. We go from the conceptual beginning of Social Media Marketing (“It’s a party, not a prison”), discuss content marketing, and then move through the major platforms such as Facebook, LinkedIn, and Twitter. I recommend you take the SEO course first, if possible, as it has some good background especially on keyword discovery and marketing. So there you have it – some Spring classes for San Francisco Bay Area residents on both SEO and Social Media Marketing by yours truly!